Don't forget our July Manager’s Special! Nancy’s 8x8 “Round and Round”. This print from Nancy’s original painting is mounted on an iron-bound frame with a painted-by-hand metal topper. 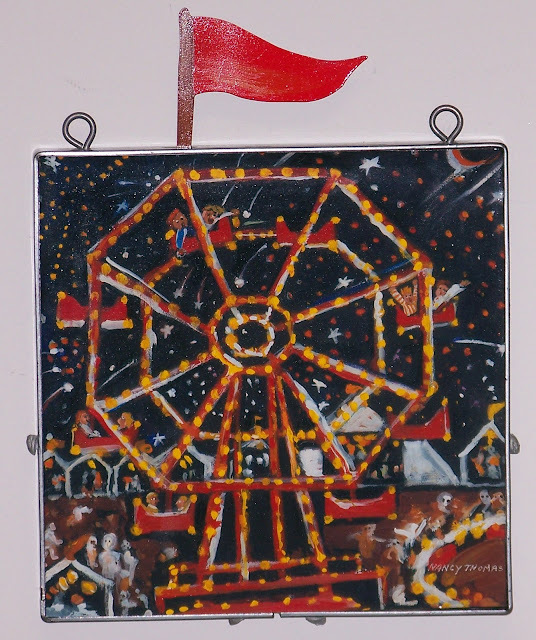 Nancy has perfectly captured the whirling, giddy excitement of being at a summer carnival! Carnivals come around once a year but we don’t know when this print will return; especially at this price. Signed by Nancy! A nice gift for a summer birthday or the person who waters your plants while you're on vacation! Something unique!